I've only had a few minutes now and again to pop into a store and check out the scrapping goodies. I spotted a Tuesday morning the other day and popped in to see if they had any drinking glasses I liked. Ours have gotten to be so few and with chips in so many of them, my husband actually told me to replace them. Mind you, he typically shies away from anything to do with even choosing household items. I'd been looking for the perfect glasses for 2 years to replace the ones from Crate and Barrel I ordered when we moved into this house over 20 years ago. I still hadn't found any but thought Tuesday Morning might have some. I did buy some glasses and what do you know? Just a few feet on down that same aisle was scrapbooking stuff! Our Tuesday Morning closed a couple of years ago and they never had scrapbook stuff anyway. So I quickly sifted through the Thickers and a few other things. Also, at JoAnn's I got a couple of Tim Holtz metals and some new paint. Thanks for watching! 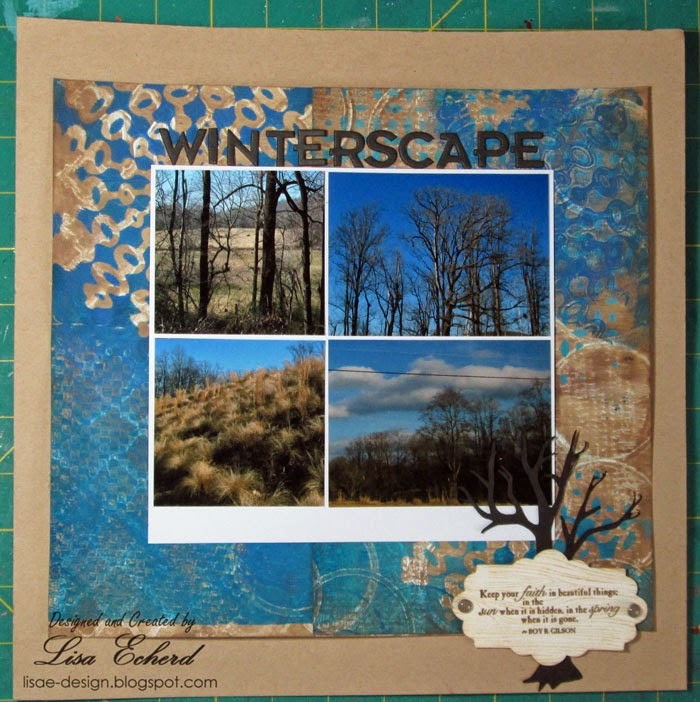 I hope to see you on National Scrapbooking Day this Saturday. 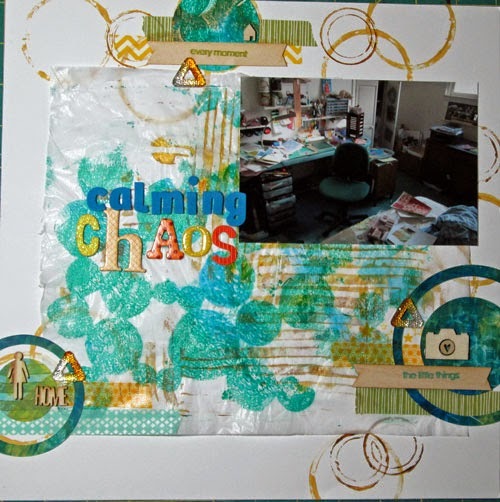 If you could look closely at the photo in this layout, you would see a very messy craft room. 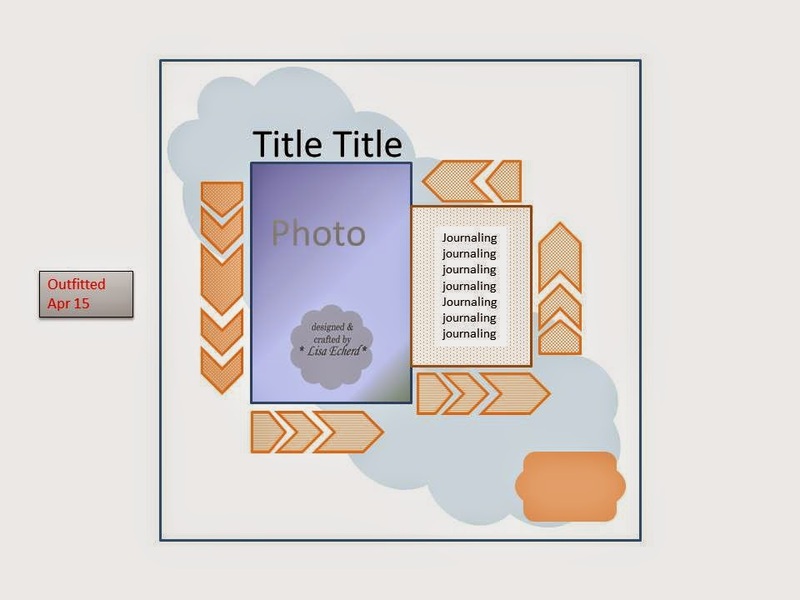 The title might lead you to think that I was capturing how I would organize my craft space. Actually the title is about how the craft room and all the mess is actually a calming factor in my life right now. We are going through a lot of medical issues and have been for a couple of months. Being a caregiver often means really being organized and some of my chores involve keeping things sterile. My craft space is in the only room on our 2nd floor and seldom is anyone up there but me. So I can be as messy as I want and it doesn't matter at all. I haven't had as much time in my craft room lately, but when I do I work on layouts or sometimes just play. The photo was taken after I'd been doing a lot of gelli prints. I was making some of them for a particular project but still I wasn't too concerned about perfection and order. That was nice. 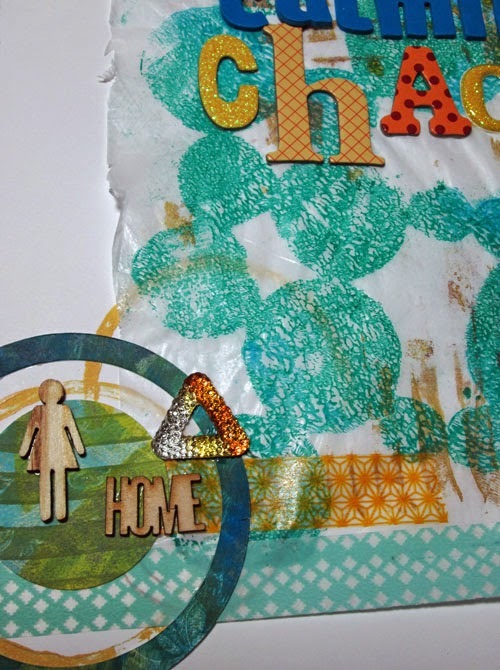 For the layout, I went through many of the gelli prints in my stash and ended up using a piece of printed tissue paper. It is just ordinary white wrapping tissue from the dollar store. I don't show how I created this particular print but how it is used. Thanks for watching! Videos may be sporadic over the next few weeks but I still plan to do as many as I can. The individual classes from the first ever Truth Scrap are now on sale for $9.95 each through April 24. 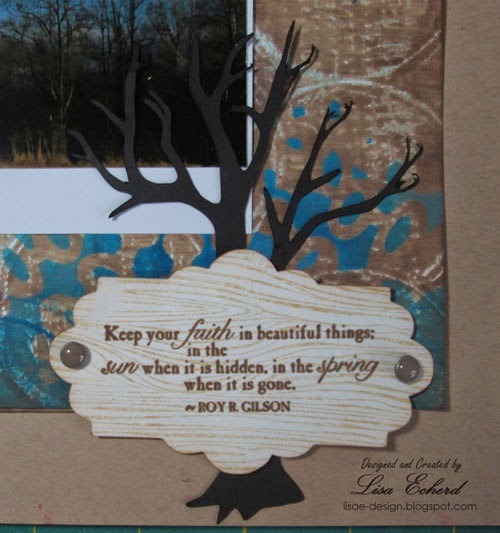 Truth Scrap was a one day event with several classes focusing on incorporating faith into your crafting. While I've taken many of the regular TrueScrap classes, I did not attend this event. Just wanted to pass this along in case you were interested in any of the topics. Click on the link above for more info. I have a couple of winter themed pages to do with photos taken at the same location. I'm telling different stories and want to convey different moods. My husband has long sung the merits of mittens for keeping your hands warm in winter. Apparently no one in retail here has heard him as they are impossible to find locally. I ordered these from Land's End. Honestly, I'm not sure they are better than the knit gloves I got at Steinmart for $7 but they are cute and worked fine. The important thing is that we walked as much as we could. 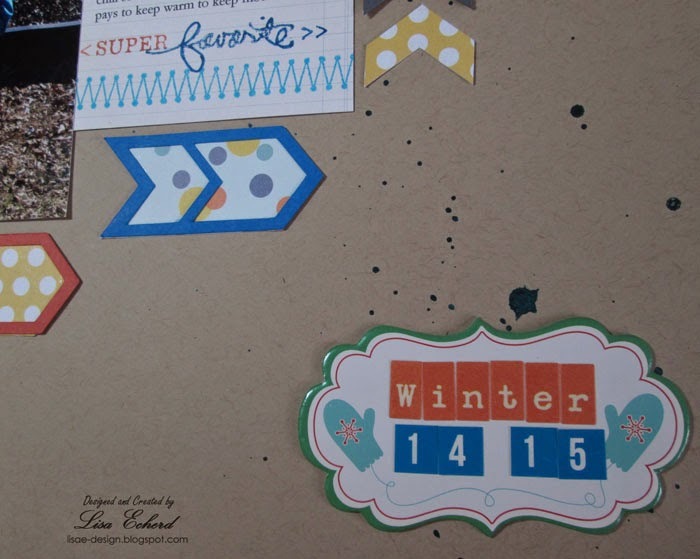 For the page, I used Silhouette chevron cuts and some MME 6x6 paper. 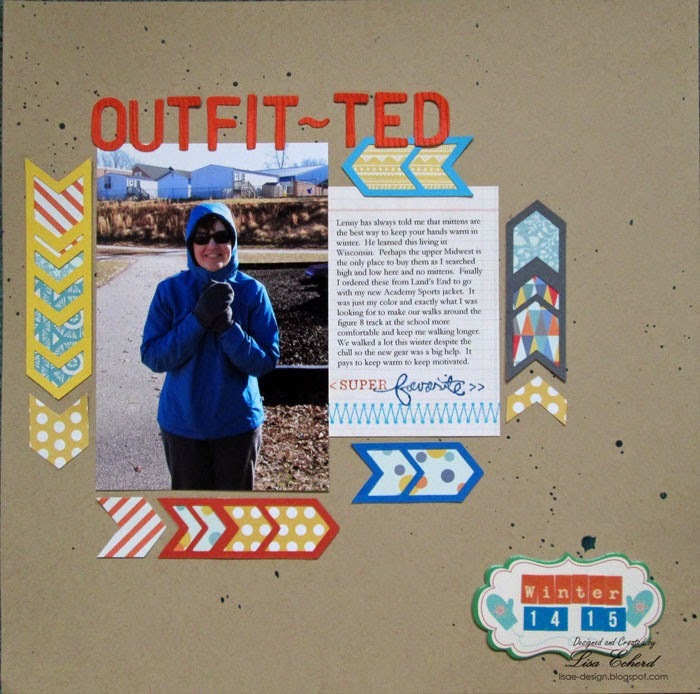 The kraft background is Bazzil spritzed with Studio Calico Honor Society mist. I'll have another page coming along with a very different tone though the photos are taken at the same place. If you aren't already, be sure to sign up for the newsletter as I have one coming out soon. Hope you have a great weekend! 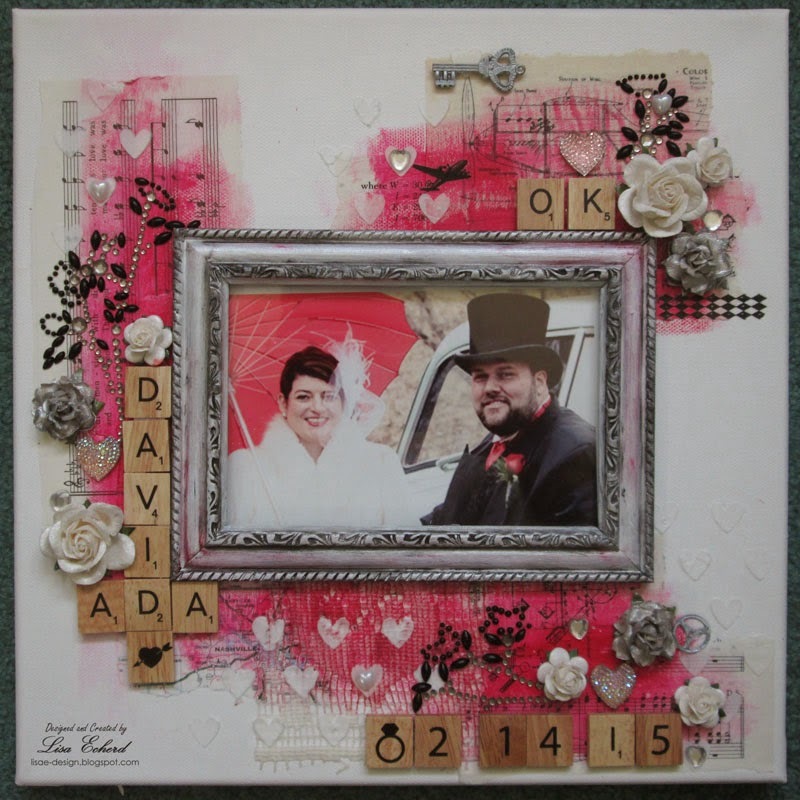 Congratulations, David and Ada who were married on Valentine's Day! My cousin had a second wedding reception this weekend so all his relatives here could attend. I made their canvas with a Valentine theme and tried to add some things that would fit their lives and personalities. He flies his own plane so there are a couple of planes on the top. 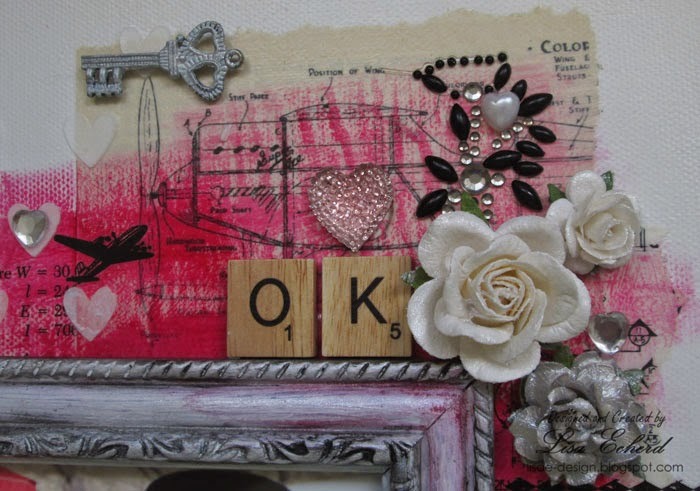 The "OK" is significant to the bride and groom in both the proposal and the wedding vows. I used some technical type book papers that I hope signify his business. 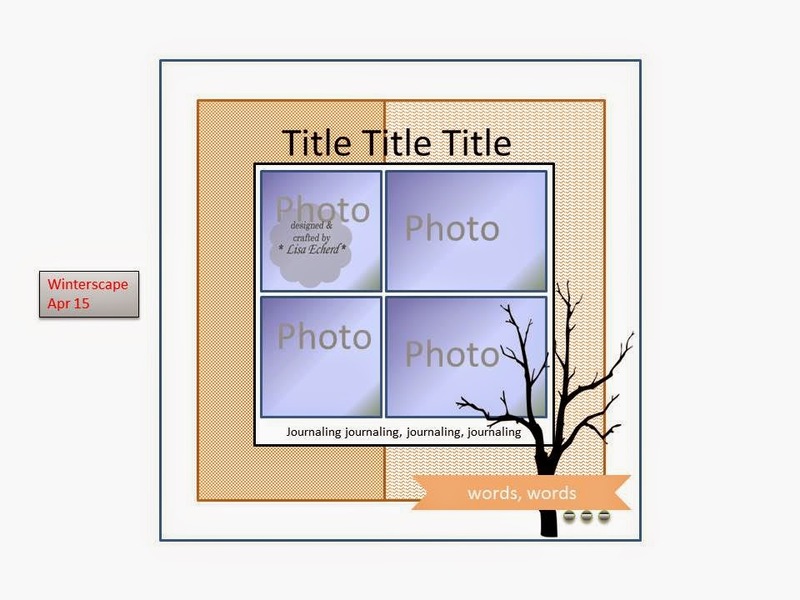 The Scrabble tiles were sent to me to try out and evaluated by Clever Crafting. The set has all the Scrabble tiles in the same number of each letter you would get in the game so you get a lot of vowels but only one each J, K, Q, X and Z. 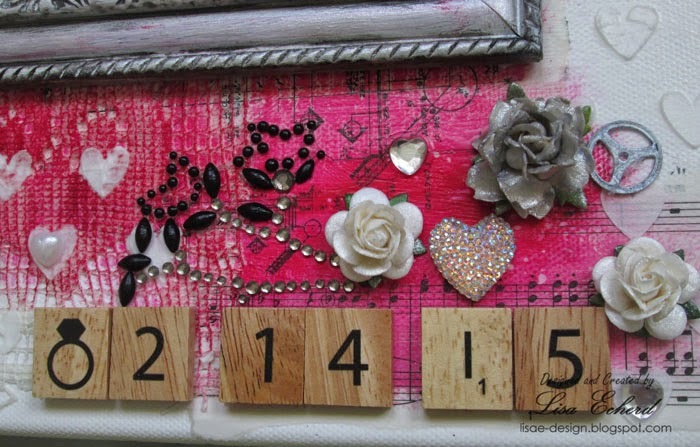 The set also has one of each number and some extra fun tiles. You can see a couple of those on the canvas - the heart and the little ring. The bride told me that they play "Words with Friends" all the time so these proved to be just perfect. They can change the photo out as they wish. It slides out on the right side. 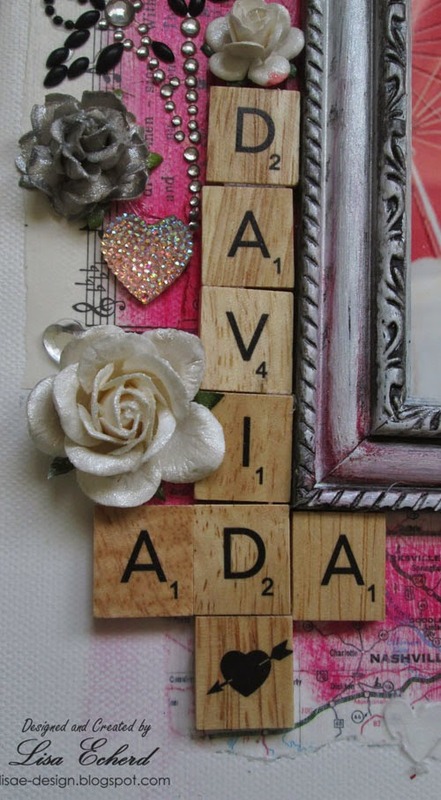 I do these types of canvases on my Etsy shop - Lovely Layers Art. Also in this 'shopping video' is info on the flowers from Wild Orchid Crafts. Great flowers, fast and cheap shipping. I've been very pleased with them. Thanks for visiting today! New layout video coming soon.